Edgar Allan Poe Art Print. 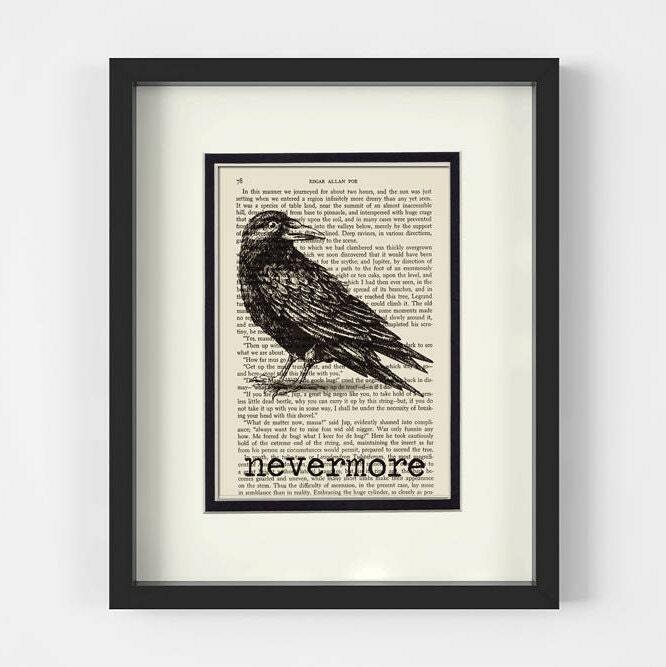 Raven Illustrations over a Vintage Edgar Allan Poe Page. Mounted under an 8x10 creamy white mat with an inner black border. A unique one of a kind piece of artwork. This came looking exactly as promised--which means it looks fantastic! It got here quickly as well. It made the perfect gift.